A member of our team will reach out to you to confirm your first detailing appointment. Where Will We Be Detailing Your Car? 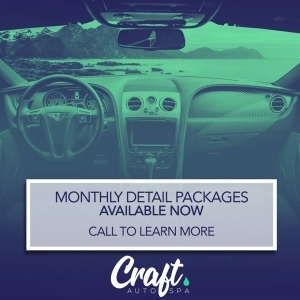 Once you submit this form a member of Craft Auto Spa's team will reach out to confirm a date and time.